You notice the difference right away in the new Subi’s steering. It answers right now, and it does so without the scrubbing reluctance of front tyres given too much to do. You can finesse the throttle through a fast corner, lifting slightly to tuck the nose in tighter, aiming the car with gentle motions of your right foot. 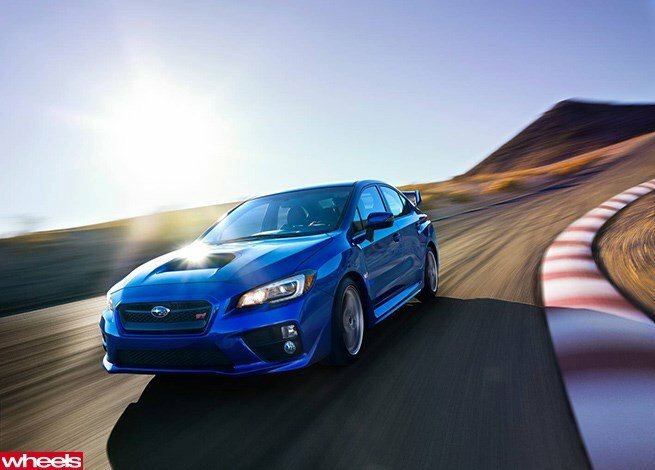 Indeed, you take the new Subaru WRX STI to its limit pretty much as you would a Porsche Cayman or a Honda S2000. That sound you just heard was a 7.6-magnitude earthquake knocking over stereotypes. This is not just car-mag hyperbole, even though the STI hasn’t changed all that much on paper. 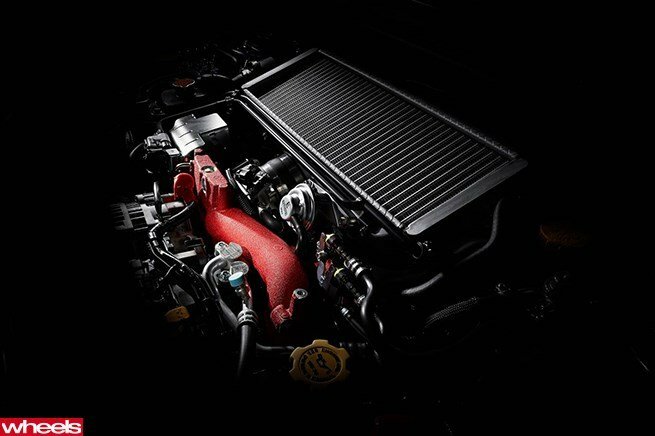 The engine is basically the same, ancient, port-injected, 224kW EJ25 turbo flat-four, not the new FA-series in the WRX. And the car’s dimensions barely change – the wheelbase gets another 25mm; the overall length 38mm – the curb mass is still a hefty 1560kg and its steel structure and front-strut/rear multi-link suspension are much the same as before. 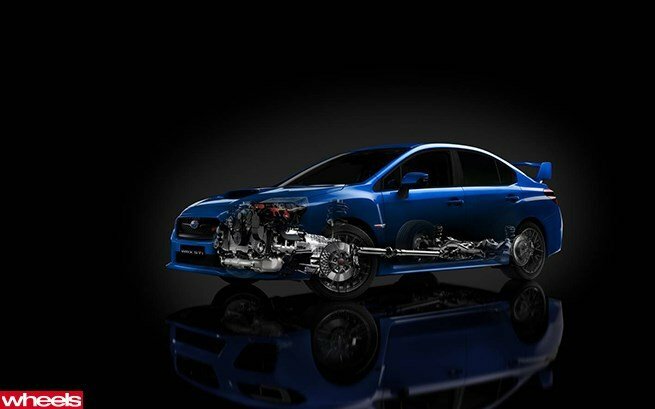 However, the new STI’s most important changes are small but vital. Starting with the structure – sedan only, the hatchback has been dropped – engineers wanted to make it stiffer, so new braces and gussets have been added, along with a stouter floorpan and parcel shelf to reducing bending and twisting by 30 percent and 40 percent respectively. 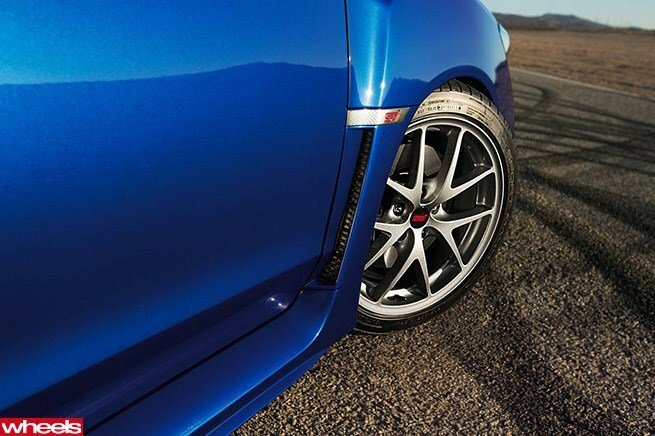 In one critical flex area, down at the rocker panels just behind the front wheels, a new stamping process was developed to cap the corner with a single steel piece with more attachment area for greater strength. 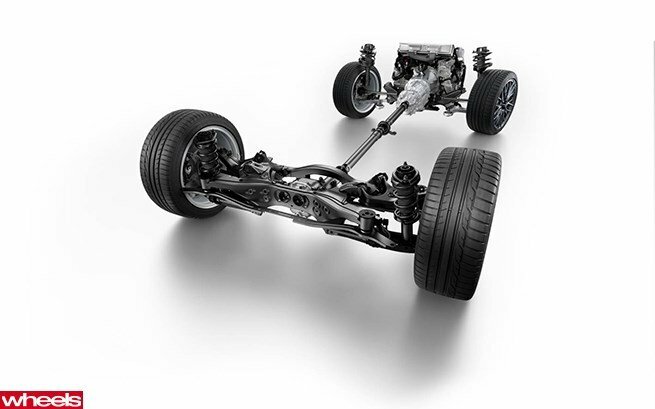 Once the body was shored up, Subaru’s engineers hung a better suspension on it. 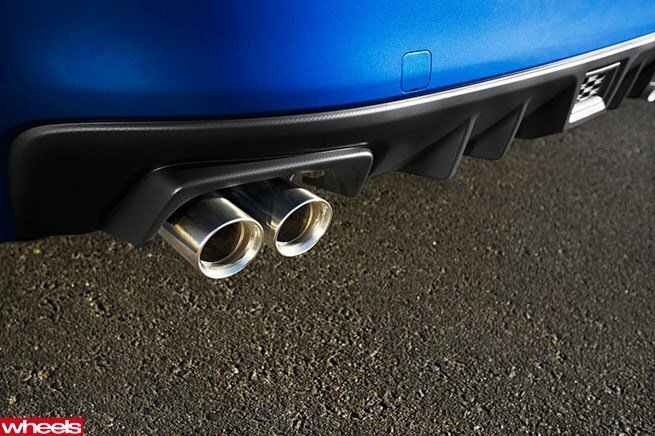 Up front, the struts are now inverted, sportbike-style, for more rigidity, and the brackets are stiffened and the spring and anti-roll-bar rates increased. In back, the suspension subframe keeps its rubber bushings but is more firmly anchored with new tie-downs to the body at either end, so there’s less squish of the assembly under cornering load for faster steering response. 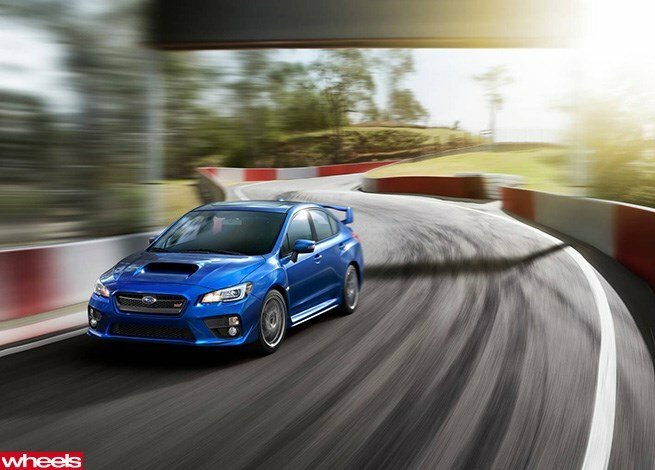 The STI sticks with hydraulic power steering, and the ratio drops from 15.1:1 to 13.1, the old JDM (Japanese Domestic Market) spec that now goes worldwide. The steering is amazingly lively, especially in the encroaching age of compu-steer. It tugs and sags with each dip and camber change in the pavement, and the effort off-centre builds organically through a corner. You have no doubt what the front tyres are doing. The BMW 3 series should have steering this good. 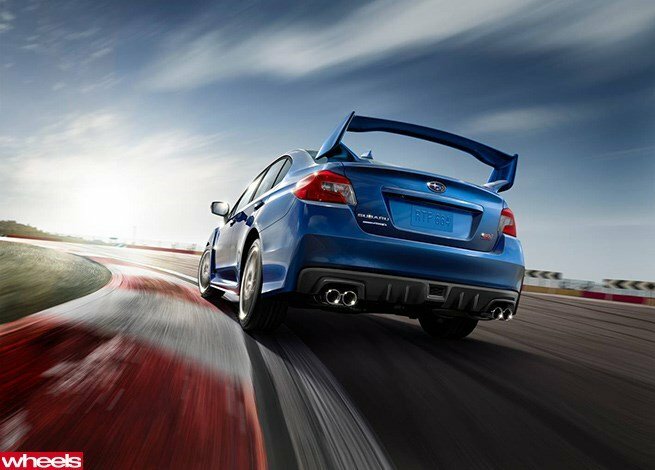 Indeed, everything in the new STI is tactilely more satisfying. 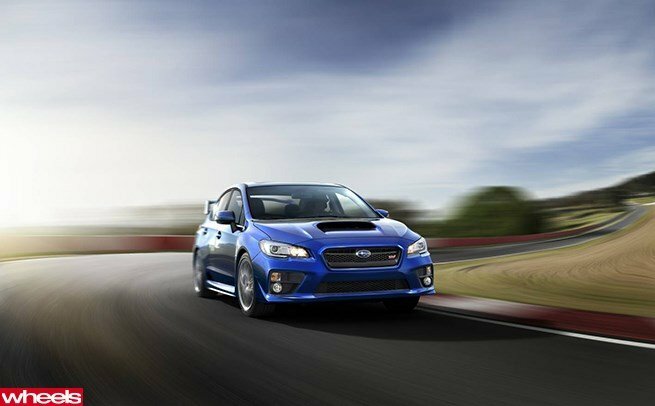 The new Brembo-sourced brakes feel firmer, the shaft linkage of the six-speed manual is tighter for more precise shifting (STIs keep their old transmission, with improvements, rather than get the new six-speed of the WRX) and the cabin is swathed in better materials. A new “Sound Creator” function pipes engine noise through a tube that delivers a nice snarl and whoosh into the cabin. 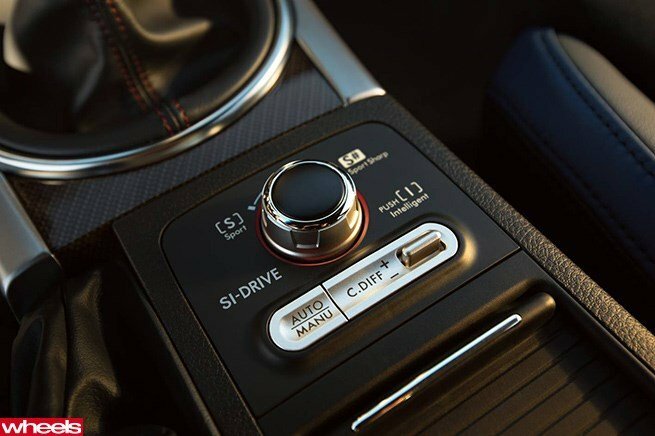 As before, Subaru gives you a raft of driver controls that let you tune the torque split, the throttle response and the stability-control system. We ran fast laps at California’s Laguna Seca road course in a variety of modes, but decided the car felt quickest with the torque bias set rearward and the new torque-vectoring system, which brakes the inside front wheel to induce yaw, left on. Then, the car’s all-wheel-drive system – with helical front differential, electronically controlled centre diff and Torsen rear diff – supplied the most natural chassis feel. The only limitation is the brakes, which get hot and long after trips through Laguna’s famous Corkscrew. 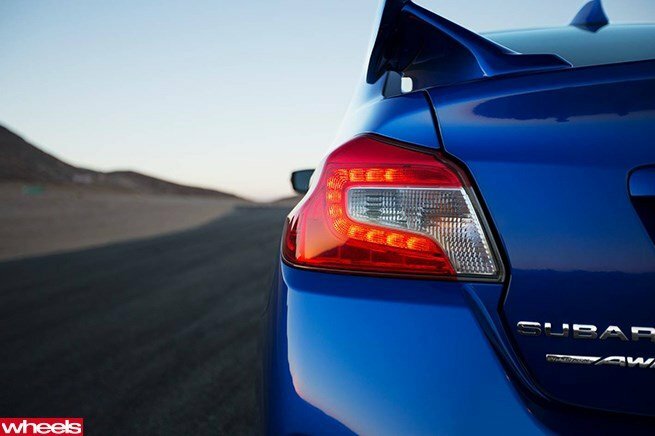 Despite a massive wing, the STI shares the regular Impreza’s forgettable styling. 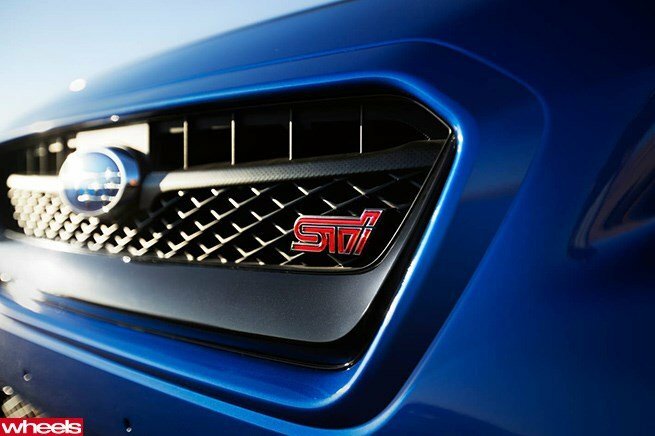 Worse, Subaru wants to end the STI’s ties to its old tobacco-sponsor color scheme from its bygone rally years. 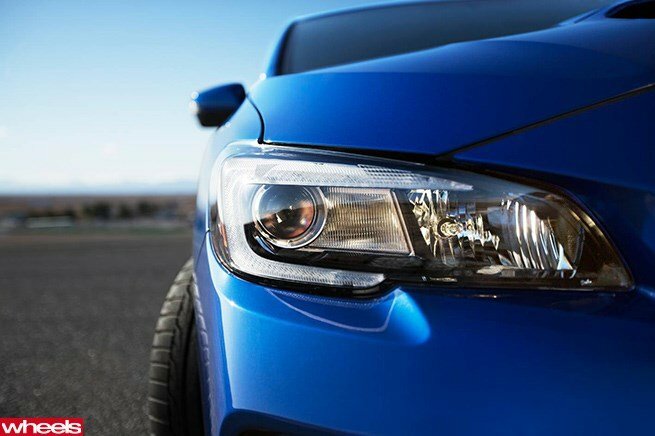 The US, which has always taken about 70 percent of STI production, will be rewarded with 1000 “Launch Edition” cars schemed in the de rigueur blue paint and gold wheels. But after that, we’re told, the gold forged BBS wheels will no longer be available from the factory at any price and in any market. 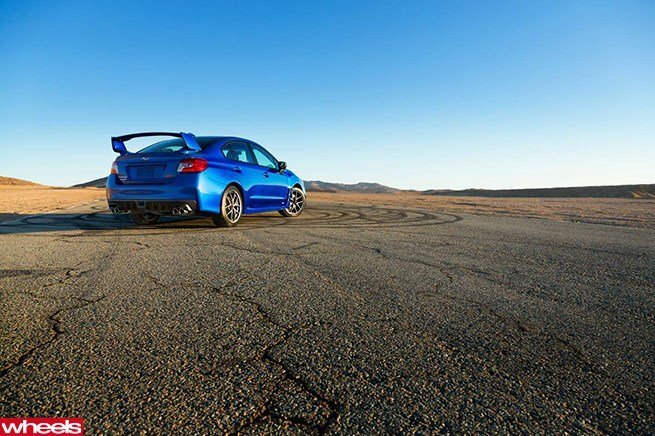 Subaru wants the STI to be seen not as it once was – a cheap commuter made into a rally hero by a pile of race-shop gear – but as a refined road car; a cohesive, composed and slightly less expensive alternative to an Audi Quattro. 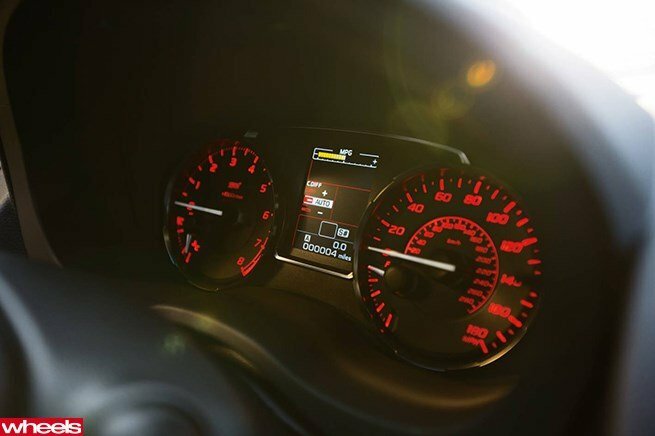 In that, the STI hits its mark. 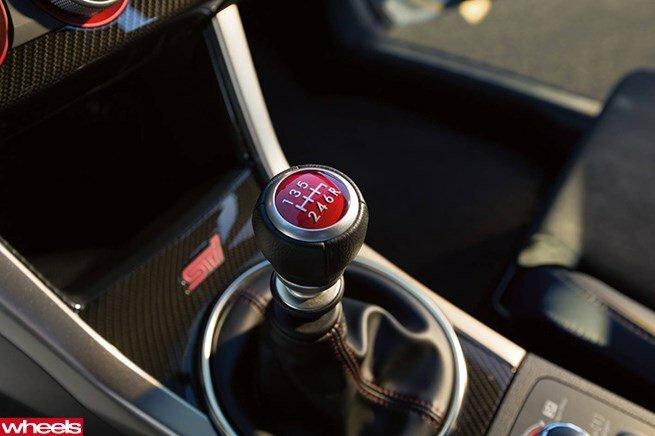 The special pedal-stomping and wheel-sawing technique you needed to perfect with the old STI is no longer required, thank you. Track days will never be the same.